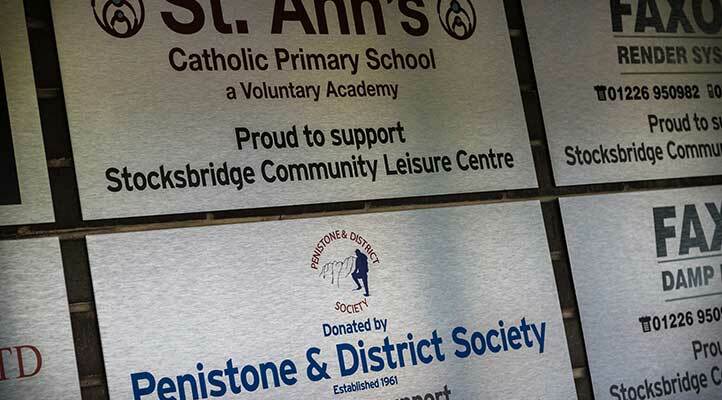 The Leisure Centre is run by the community for the community under the guidance of 4SLC Trust. It is one of the few nationally that does so. The majority of our income is generated from our trading activity, however we do need additional funds to cover all our costs and allow re investment back in the building, its facilities and equipment. This is a difficult task but so far, have received fantastic financial support from the Lottery Power to Change ‘Initial Grants Programme’, Viridor Credits, South Yorkshire Key Fund and Stocksbridge Town Council – all of whom have provided much needed capital to help us getting the pools up and running and introduce green energy measures to reduce our energy costs. We are also indebted to our local Stocksbridge Town Council and Joseph Sheldon Trust in Stocksbridge, who together with charitable donations from the local and business community, help with our running costs. In 2017, we were particularly proud to have been selected by the Fox Valley retail development as their Charity for the Year. 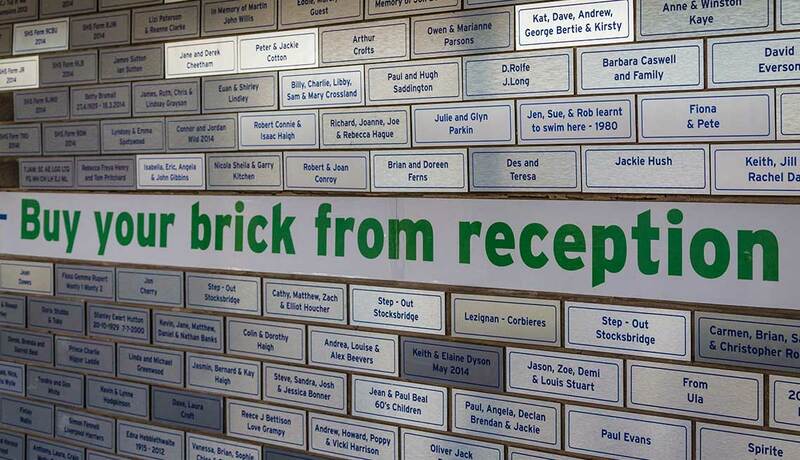 Donate £20 and have your name emblazoned on the Pathway to the Pool corridor wall. 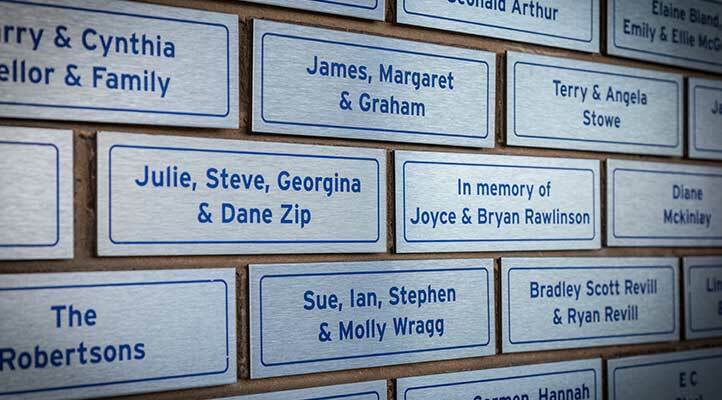 A specially engraved aluminium plaque with your individual/family name or message is a permanent reminder of the contribution made. 30cm x 67 cm plaques with your logo and a short message printed in full colour onto brushed aluminium. These plaques will be displayed in the ‘pathway to the pool’ corridor. 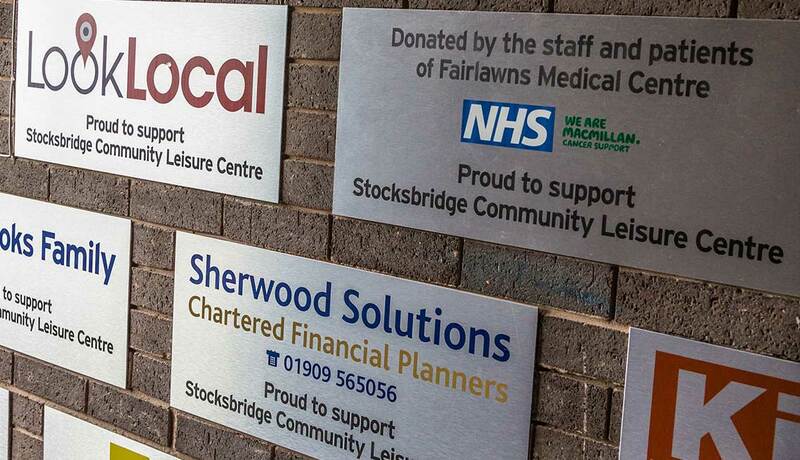 110cm x 60 cm plaques with your logo and a short message printed in full colour onto brushed aluminium. 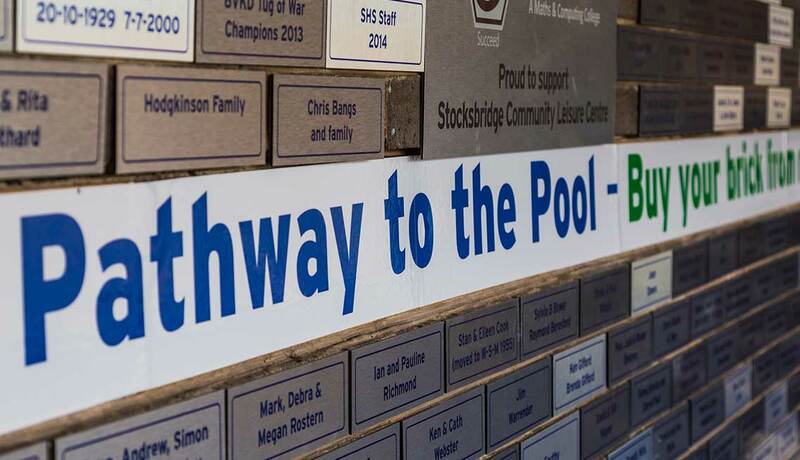 These plaques will be displayed in the ‘pathway to the pool’ corridor. 135cm x 75 cm sponsorship board mounted to the outside of the pathway to the pool corridor for maximum exposure (limited to 17). 244 cm x 122 cm (8ft x 4ft) sponsorship board which will be mounted on the main leisure centre wall above the corridor (limited to 7). 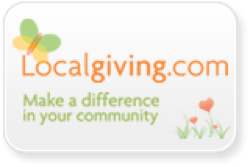 Local Giving is an easy way to make a donation to the Centre – either as a one off or monthly – especially if you are a UK tax payer. 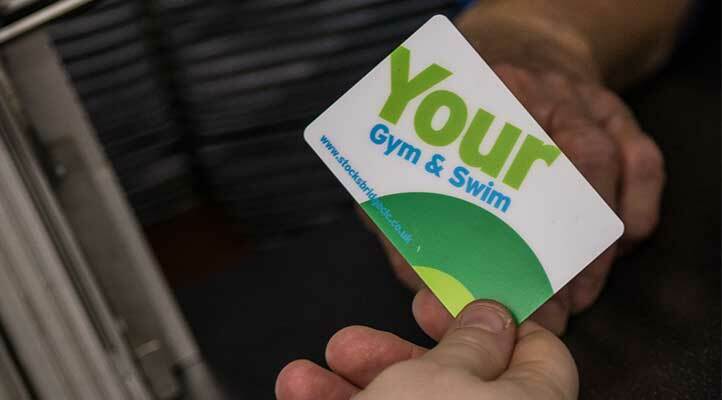 You can help Stocksbridge Community Leisure Centre raise money by using easyfundraising.org.uk every time you shop online – from your weekly shop, to your annual car insurance or even just buying some new shoes off Ebay. 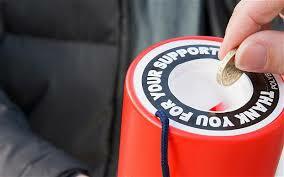 Just sign up using the link below and we can receive a donation every time you spend! Best of all it does not cost you a penny! Taking out one of our memberships is one of the most effective ways of raising monies for the centre as it not only provides a steady income but also proves to ‘funders’ that there is a sufficient demand for a sustainable centre.